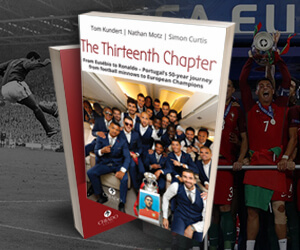 PortuGOAL’s book corner is back with the chance to win another marvellous work about the beautiful game. The European Game lifts the lid on the secrets of how many of the continent’s top football clubs operate day to day, from Ajax, Juventus and Portugal’s Big Three to Bayern Munich, AC Milan, Lyon, Athletic Bilbao and many more. Author Dan Fieldsend chronicled his findings in compelling fashion as he travelled across Europe, speaking to members of staff all the way up the hierarchical ladder, from scouts and academy coaches to first-team managers, analysts and board members. As well as being a must-read for all football fans, the book is a fascinating study of society, identity and attachment. 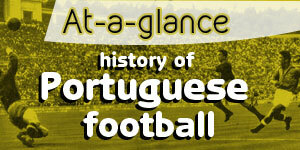 The Portuguese leg of his journey provides intriguing insights about FC Porto, Sporting and Benfica. Read an interview with the author and enter our competition to win one of two copies of the book. Congratulations on the book! It has been extremely well received. Has the positive feedback and popularity of the book surprised you? Hi Tom. It’s been a huge surprise. I knew it was a big concept beforehand as there are few books truly about how football works day-to-day, but I didn’t expect this reaction. It’s already on a second edition and has been a bestseller on Amazon for almost a month now! I’m delighted. I was always going to do such a trip anyway – I’d always wanted to travel and visit clubs abroad to discover their methods – but while I was away it became obvious that the standard and abundance of the findings deserved collating. To write a book was another ambition I held, so I started to compile some of the findings into chapters which I sent to publishers. I had a few offers but when Arena Sports (who published ‘Pep Confidential’) made an offer I accepted instantly. It took almost a year to write and went into a new football season so I tried to make it less contemporary and more about the long-term philosophies of each club. I noticed at times, such as in the Marseille chapter, you ended up discovering information that you were not originally seeking. Did The European Game turn out as you envisaged when you started or did it take on a life of its own? Good point. It definitely took on a life of its own. I didn’t know half of the stuff I’d go on to discover. For example, I was asking questions about preconceived ‘British’ views of clubs, like at Juventus I wanted to talk about their tactical pedigree, but the academy director wanted to tell me about how they’re trying to move away from tactics towards technique. And at Bayern I was asking about their toughmindedness but they showed me how they focus more on technical development and flair. They were indeed. But they’d pencilled me in maybe five or six months earlier. The difficult thing I had was prompting and reminding them that we were due to meet in the coming week. I never once, at any club, felt as though I was taking up any of their time. You must find the same thing to be true, Tom, when you’re interviewing people in football: the most impressive guys are also the ones who are most welcoming. You visited a lot of clubs and talked to so many football people all over Europe. What country/club/interview did you most enjoy and why (you don’t have to say Lisbon because of the Pasteis de Nata!)? I’ve made no secret about how much I loved my time at Benfica. They were so kind from the off. Sandro, the guy I was due to meet, told me where to stay and how to get to the training ground – what ferry to catch and what time – which was often the most difficult aspect of the trip. And when I arrived everybody working at the club was so friendly. It was a sunny day and they showed me everything: from the state-of-the-art training pitches, to the changing rooms, to their analysis department. They even allowed me to play in their 360 degrees ‘football room’ which cost over £1m to install. I would honestly rank their facilities as up there with the best in the world. I end the chapter by saying that if football’s financial hierarchy allowed, they’d be the best team in the world. I genuinely still believe that to be the case. Our audience will be particularly interested in your findings from the Portuguese leg of your journey. My first question is what stood out most for you in Portugal in relation to other European clubs? Portugal was perhaps, just behind The Netherlands, the most welcoming nation in regards to their clubs. The big three – Porto, Sporting and Benfica – were all happy for me to visit and discuss their approaches with them. It’s no shock for me that those two nations do so well at youth level, considering how open they are. I’m also quite confident in saying that Portugal has the best level of coach education as well, perhaps tied with Italy. There is a real thirst in Portugal for coaches, analysts, scouts, to continue their education even after they’ve found a comfortable job in the professional game. That’s quite rare to be honest. The guys I met with seemed to think about the game at a deeper level than the staff members elsewhere. Comparing Portugal’s Big Three, did you perceive noticeable differences (or similarities) in the way Porto, Sporting and Benfica ran their operations? You heavily focused on youth training throughout your whole journey. 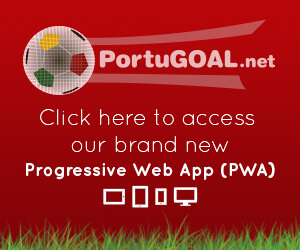 Would you say Portuguese clubs put a greater emphasis on their academies than in other countries? I’d say all nations see youth development as crucial, it’s just that in Portugal clubs promote youngsters more. Chelsea and Manchester City probably have two of the top ten academies in the world, not that it’s much good at present as the youngsters are unlikely to be given a long-term opportunity. In Portugal, because of finances, there is a more navigable pathway for youngsters than elsewhere. Also, as you’ve written about at length, clubs know they’ll get a good price for their youngsters if they sell them so it incentivises them to do so. In the Porto chapter you mention the “us-against-them” mentality of the city to fight the perceived power base of the capital, Lisbon. Was this mindset evident when you talked to people connected to FC Porto? That was really interesting. I wasn’t so aware of it beforehand, but from the first coach journey into the city from Vigo, through to speaking with locals, it was as though all their achievements were set against those of Lisbon. Nobody associated with the club would openly say it but one can definitely feel that Porto’s identity is shaped by Lisbon. It’s easy to see why Mourinho’s rhetoric was so effective at the club. Your take on Sporting’s philosophy of allowing its young footballers unregulated playing time and encouraging them to dribble helps explain its incredible production line of top-class wingers. You called the Sporting chapter “Creating Cristiano”. Did you see the next Ronaldo!? Ha! If I did wasn’t aware of it. A lot of my hours were in the offices at the club, and when we eventually arrived at the local university to watch the younger ages play they were working on shooting exercises so it was difficult to gauge. Drawing on your experience of working in English football, do you believe EPL clubs lag behind their European counterparts when it comes to youth training? I don’t, at all. I think that the work being done at Premier League clubs is as thoughtful and structured as anywhere else – they often win international tournaments against the likes of Barcelona, Bayern and Ajax – it’s just the pathway that can hinder them. Having seen the standard of some of the youngsters at Liverpool, Everton, City, United, it’s absolutely incredible what kids can do aged just six and seven. The only thing that can possibly deny them is the Premier League itself. We will see in the next five to ten years how technically good English footballers are. Hopefully. You acquired a tremendous body of knowledge researching and writing this book. I’m certain you want to continue to work in football. How would you like to make use of this knowledge? I’m yet to decide! I’ve only ever worked as a coach but more recently I’m interested in recruitment. If I can help British football in any way then I’m happy – perhaps I have already done so in writing this book. I’d like to think that’s the case. You describe writing this book as “an adventure”. Putting the football to one side for a moment, pick out some of your best memories in terms of the places, the landscapes, the architecture and the cultures you encountered along the way. I remember sitting on a bench at a station in Austria waiting for my train. It was a sunny day in early spring and the Alps were glowing in the distance. I forgot completely why I was there, or what football even was! It was one of those moments, you know? I had a few of those. Another time I was sat in Marseille watching the yachts bob in the background as locals haggled at a market. Your home city Lisbon was a truly magnificent place as well. Football was the vehicle which drove the trip, but the continent itself was the victor for me. I’m just thankful I conducted the trip when I did so I could travel through Europe with such ease. Dan, thank you for your time and once again congratulations on writing a wonderful book. Finally, would you please set a question for our readers to win a copy of the book. Barcelona, Milan, Juventus and Ajax all have chapters in the book. Name a player who has played for all four clubs? Article update: Congratulations to Richard Caetano and Paulo de Carvalho, both from Canada, whose names were drawn out from over 100 correct answers received. A copy of the book is on its way to each of them. The correct answers were Edgar Davids and Zlatan Ibrahimovic (either name was accepted), both of whom played for the four clubs in question. Thank you for entering. Keep track of this section of the site for more book contests in the coming weeks. The European Game by Dan Fieldsend is published by Arena Sport and is available now (£14.99, paperback) www.arenasportbooks.co.uk.